Huawei Technologies Co. Ltd. - One of the largest Chinese companies in the field of information and communication technologies. Founded by the former member of China's Ren Chzhenfeem People's Liberation Army in 1987. In 2006, the company showed growth in the segment of new-generation networks, including 3G networks. At the beginning of 2015 more than 170 thousand people working in the company. In 2010, the company had 8 regional offices and 100 branch offices around the world. Huawei has 16 research centers in various countries, including China, USA, Germany, Turkey, India (Bangalore), Sweden (Stockholm) and Russia (Moscow). The company has established a joint innovation centers with major global operators like Vodafone Group, BT Group, Telecom Italia, France Telecom, Telefonica, Deutsche Telekom. Each year, Huawei invests in research and development of not less than 10% of revenue, while remaining one of the leading enterprises among companies around the world in the number of patent filings - 3898 in 2015. According to the report of the World Intellectual Property Organization, WIPO, in 2014, Huawei has become a leader in the number of patent applications. Only on the research and development of 5G technologies in the period from 2013 to 2018, the company has sent $ 600 million aggregate amount of the company's R & D investment over the past decade -. More than $ 24 billion. Huawei Carrier Division specializes in the operator market. It is engaged in the development of fixed and wireless networks, power networks, global services, telecommunications software and core networks. September 21, 2010 in Hong Kong, Huawei demonstrated the prototype of 700 Mbit / s DSL. This demonstration is the first in its class. According to the company, thanks to SuperMIMO technology (a system with many inputs and outputs), this solution enables operators to build cost-effective, advanced network with a large bandwidth. This prototype is far superior to existing designs DSL broadband wireline communications. Here, the transmission rate of 100 Mbit / s is achieved, and it is more suitable for the needs of operators, providing "ultra-wideband" services. Huawei is a leader in the LTE field. Among the many successfully implemented projects in this area - launches first commercial LTE network, the first LTE network in Russia, the world's first commercial LTE-Advanced network, and LTE-Advanced network at the Olympic Games in Sochi. In 2015, the direction of Carrier's revenues increased by 21% compared to 2014 year. Much of this growth has been associated with the spread of 4G networks. Huawei Enterprise Division focuses on the corporate segment and provides architectural solutions and technologies for building enterprise networks, cloud services, data centers, unified communications, wireless, and management tools. In 2015, Huawei Enterprise business grew by 44%. Huawei has also established strategic partnerships with a number of companies, which include SAP and Accenture's, for joint research and development in the field of big data and cloud computing. October 19, 2015 Huawei announced plans to invest $ 1 billion to support the development of information and communication technologies. The main objective of financing - increasing the attractiveness of cloud services among Chinese customers. This amount will go to the joint development of software, technical support services, conducting training courses and others. The first Huawei aims at popularization of cloud services among companies using the vendor's infrastructure. Huawei Consumer Division is engaged in the development of technologies for the end user, such as smart phones, home devices and mobile broadband network. Due to increased demand for high-quality products, providing the highest level of customer service, as well as increasing the impact of Huawei as a consumer brand in 2015, a division Huawei Consumer Business Group increased its revenue by 73% compared to 2014 year. The largest increase in the company showed in the emerging markets. In October 2014 Huawei became the first Chinese companies included in the rating of "100 Best Global Brands 2014" according to Interbrand. In 2015, Huawei has become the third largest smartphone manufacturer in the world. At the exhibition MWC 2015 - Huawei has introduced a new brand concept - Make it Possible. Huawei held several international marketing campaigns, including a sponsor of several football teams, thereby increasing audience loyalty. "We went deep into the meaning of the word" it "in the concept of" Make it Possible ", which connects Huawei and emotions of consumers - said Shao Yang, vice president of marketing for Huawei Consumer BG. - We believe that "it" represents the power of our dreams, innovation, and a strong bond with the consumer. At the exhibition MWC 2015 - Huawei has introduced a new brand slogan: "Dreams inspire creativity". Our main desire - to create common Huawei and spiritual values of consumers. We are confident that if everyone believed in the power of dreams and creativity, the world would be better. Revenue in 2007 - $ 12.5 billion (48% growth compared to 2006). Most of the contracts in 2007 - about 72% - Huawei entered into in foreign or international markets. In the mobile segment, 45% of all new contracts Huawei had to create a UMTS / HSDPA infrastructure, and 44.8% - for the construction of CDMA network. Huawei's customers are 35 of the world's top 50 telecom operators. In 2007, Huawei signed 34 contracts in the field of managed services, including a contract with Vodafone, China Mobile, Etisalat and MNT Group. Revenue in 2008 - $ 23.3 billion (46% growth), net profit -. $ 1.15 billion in 2008. Huawei profitability of operating profit has increased from 3% to 13%. Revenue in 2009 - $ 21.5 billion (7.7% decrease). Net income, as compared to the previous year, increased by 2.3 times and amounted to - $ 2.7 billion in revenue from sales -. $ 21.8 billion (an increase of 19%). Net profit margin - 12.2%. Revenue in 2010 - $ 28 billion revenue of only one division of the company -. Huawei Technologies (Huawei Device) - totaled $ 4.5 billion, which is about 16% of the company's total sales. Revenue in 2011 - $ 26 billion. Revenue grew by 33% in 2012 to $ 35 billion, $ 2.48 billion of which - net profit. Revenue in 2013 - $ 39.8 billion. In January 2015, Huawei released its unaudited financial results for 2014. The proceeds from global sales reached over $ 46 billion in 2014, almost 20% more than in 2013. Revenue in 2015 - $ 60, 8 billion. In 2013, Huawei introduced the Honor brand for a young audience (18-34). 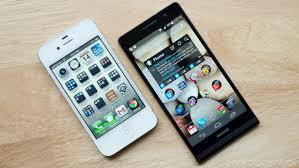 This family of devices, the lower and middle price segment, which are only sold through the Internet and promoted through social networks, as well as with other modern ways of communication. Between Huawei Honor (review of Honor 5c) and brands there is no internal competition and differences in the hardware and software of the device is. 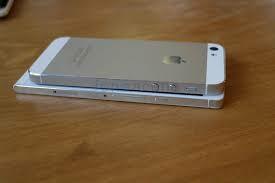 Smartphones differ only in the promotion and distribution. Honor brand is sold in 74 countries and regions. The annual income from sales in 2014 amounted to about $ 3 billion. Annual sales revenue in 2015 - about 6 billion dollars. Huawei Consumer Business Group Division develops and produces smartphones middle and premium price segment, tablets, wearable electronics (smart watches and fitness trackers), mobile broadband devices (mobile routers, the USB-modems, Wi-Fi routers), and solutions for the home . Under the brand Honor issued smartphones price segment low, middle and premium, as well as fitness trackers. 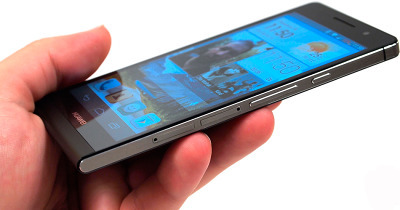 Huawei Ascend P6 - the slimmest smartphone in the world in 2014 (6.18 mm). Monolithic housing flagship completely made of metal.